Simple in design, most of the shophouse buildings used soft burnt clay bricks as the main construction material.The thick brick walls kept out the midday sun, lime-plastered walls and terracotta floors dispersed the cool moisture from the swamps beneath, while louvred shutters kept out the glaring sunlight but allowed the cool breeze in. The earlier shophouses were small, with just a pitched roof and a kitchen at the back under a single-storey terrace and open airwell which took away the heat from the charcoal-fired stoves. 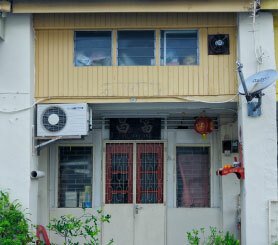 As more land was cleared and the owners grew wealthier along with increasing needs, the shophouses became longer, separating each pitched roof with an airwell to cool the building. They were originally built and used by the Indian and later Chinese migrant population, who brought with them influences from their homelands. 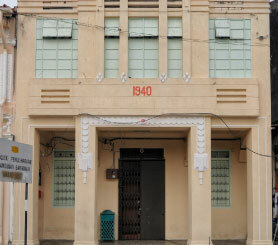 By the 1900s, European architectural and engineering professionals had come to Penang, bringing with them new technologies and building forms influenced by Western architecture. 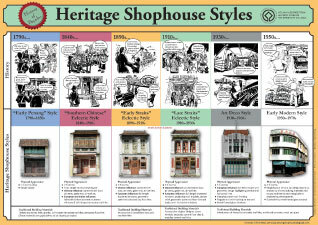 Owners of traditional shophouses were eager to adapt to modern styles, and began to refashion their facades to the latest styles, whilst maintaining the strict hierarchical use of space within the shophouse. 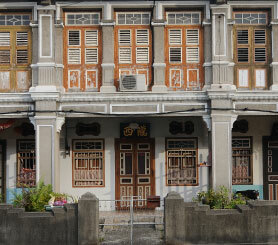 The features of a shophouse are distinct, and yet similar throughout the different styles found in George Town. 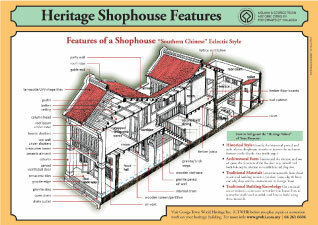 The illustration shows the features of a Southern Chinese Eclectic Style shophouse. 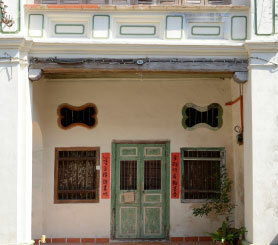 There are six main shophouse styles in George Town, Penang. Each style has distinctive architectural and decorative features which represent the different periods in George Town’s history. These shophouses continue to function as they were originally intended, playing a dual role as a place of business and that of residence. 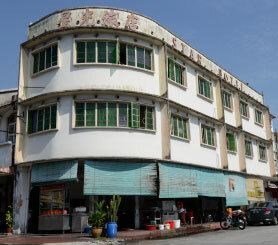 Most shophouses are still in a good state of conservation. See George Town Heritage Habitat Seed Fund. 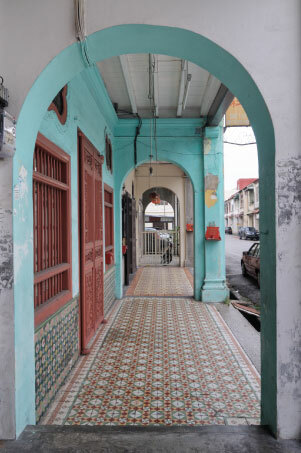 Five-foot ways are shaded public walkways along the shophouses, giving shelter from the heat and rain. 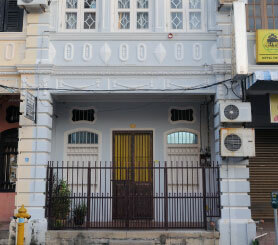 They are a significant feature of the streetscape that still exist in George Town. Many of the five-foot ways, however, are obstructed or blocked by shop displays, physical barriers and motorcycles. Note: The information on this page has been produced through a joint effort by Arts-ED, George Town World Heritage Incorporated and the Cultural Heritage Action Team.